Some say it’s the ultimate act of collaboration. Others insist it’s the water in Hamilton Heights. Whatever the reason, BICsters are producing the most beautiful babies. It all started with Diana Olsen Friedman. As a founding BICster, she entered the program in Fall 2013. But she took a break in September 2014 for Sydney — BIC Baby #ONE. 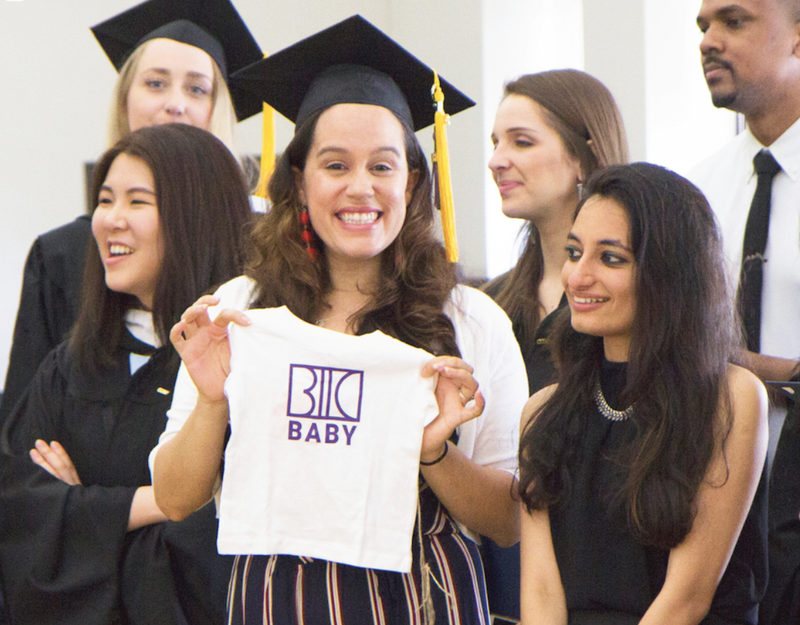 Her classmates sent her a BIC Baby T-shirt and a tradition was born. 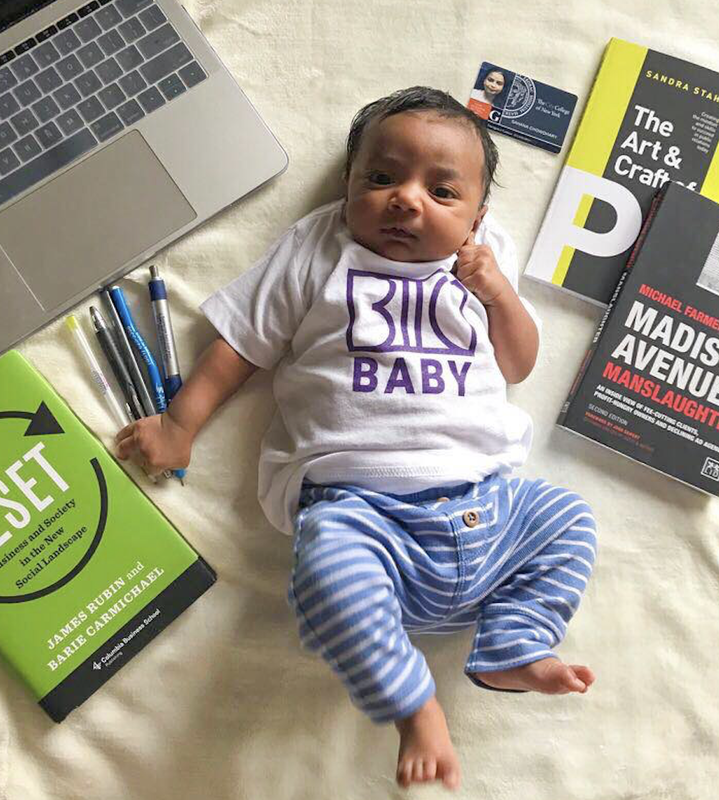 Other babies rocking the BIC Baby T-Shirt include Rye Aran Stefanik, Oct 2017 (Jason Stefanik, BIC Professor), Gabriel Moises Venero, April 2018 (Erica Lopez, BIC ’18), Aarav Das Chowdhury, July 2018 (Sahana Chowdhury, BIC ’19), Elle Miftari, August 2018 (Ben Miftari, BIC ’17), Jonathan Davis, September 2018 (Douglas Davis, BIC Professor), Golda Hannah Reinfeld Kahana, October 2018 (Jake Kahana, BIC Professor), Mavrick Hudson Leo, January 2019 (Marlene Leo, BIC Program Specialist). BRAVO from BIC — congrats to all the parents!! And keep those pictures coming! !